? Extremely Warm & Comfortable Balaclava That Keeps Out The Cold Wind & Cold Temperatures. The extra length in the front and back extends to into your jacket to help completely seal out the cold. Your Head, Face, Neck, & Chest Will Stay Warm In The Harshest Elements Of Winter.
? The one-size-fits-all easily fits, stays comfortable and is a perfect fit for men, women and children. The exceptionally breathable fleece hood adds to the overall comfort and is you best partner on the road in bitter-cold conditions.
? We have been in business since January 2008, in the past years, we have sold out thousands of balaclavas through out the world.
? 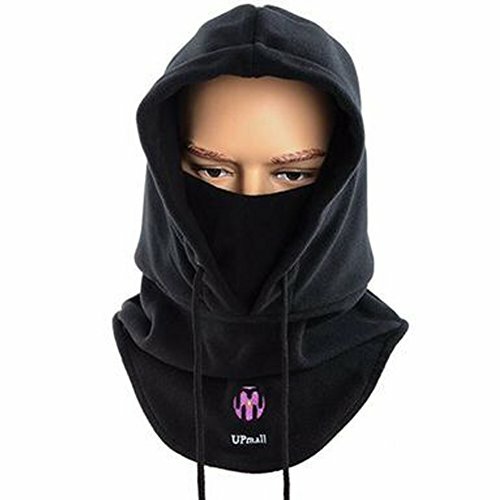 Here you will find the highest quality balaclava you have ever owned guaranteed, our balaclava are cut and sewn to fit and conform to the shape of your head & last for years!
? We guarantee 100% satisfaction to all our customers for repalcement or money back. Buy with confidence from us. HEAVYWEIGHT WARM - Made of 280g polar fleece & polyester fibers, double layered and thickened for warmth; it's windproof and dustproof, comfortable and ideal for cyclists, hiking, fishing, skiing and other outdoor winter activities. 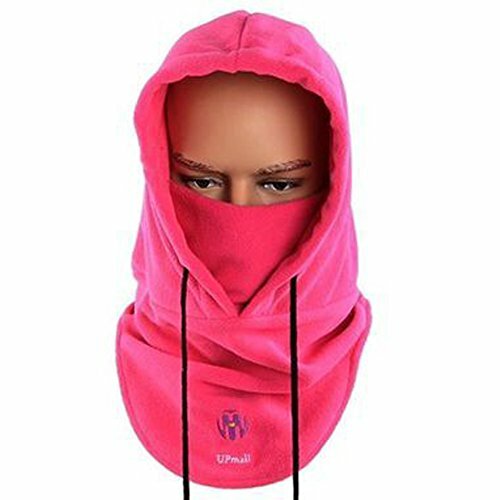 CLASSIC STYLE - Wearing resistance, it is hard to out of shape; The face opening is comfortable and adjustable, stretching to show the full face or to cover the nose and mouth. 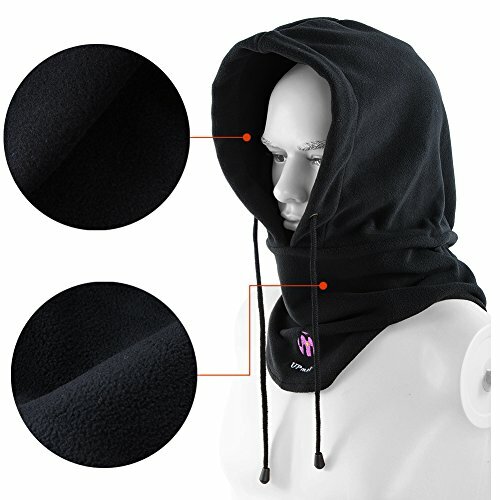 KEEP NECK WARM - Add neck length and extra-long in front for better wind and cold protection, super comfortable face mask, protect your face, neck & shoulder, face warm-neck warm- ear warm. 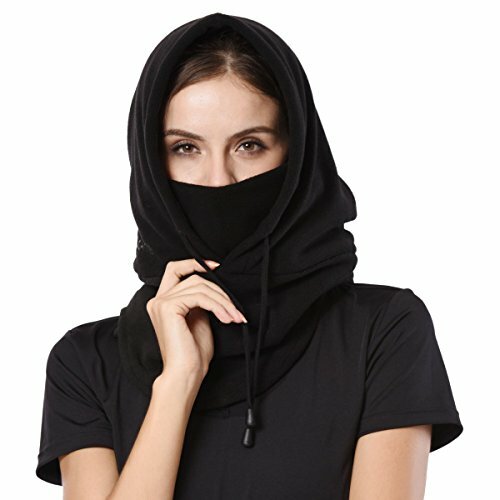 MULTIFUNCTION IN ONE - Can be suitably used as full face cover mask, neck warmers or dust covers, open balaclava for protection from wind, cold and dust. USEFUL - Suitable for outdoor hiking, camping, skiing, cycling and other sports or activities.